JSCKolomnaWorkshasdeliveredtoBelarusianRailways(BZD) apassengerdiesellocomotiveTEP70BS, underthecontractsignedearlier this year. This year Kolomna Works will deliver to BZD a total of 3 diesel locomotives TEP70BS. Asscheduled, lastdiesellocomotive will be supplied to Belorussia in August, 2012. 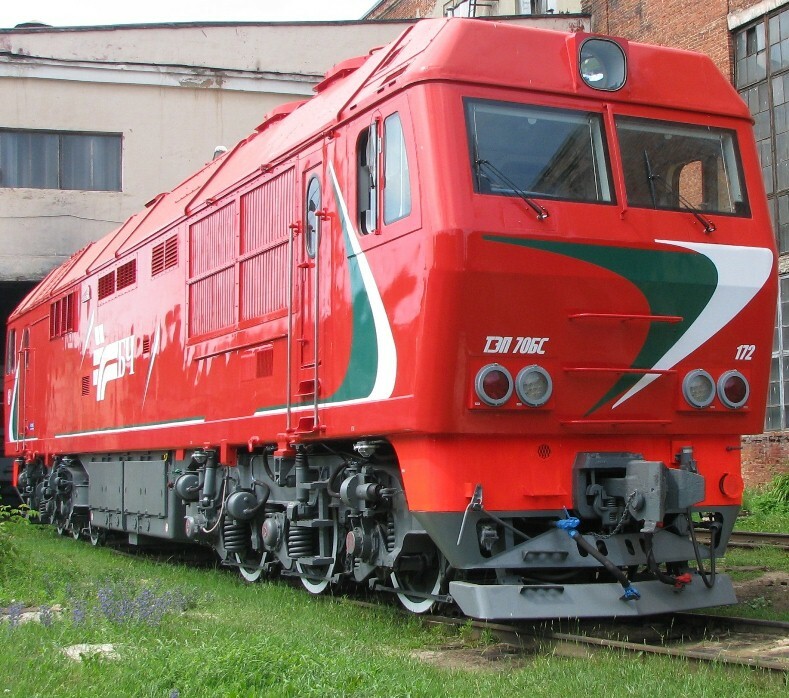 As per Ivan Gribanov, the deputy director of locomotive and rolling stock fleet of Minsk Branch of BZD, 22 locomotives TEP70BS are under service in locomotive fleet of Belarusian Railways. The locomotives are operated at Minsk – Grodno, Minsk – Vilnius, Minsk – Gomel sections of the Belarusian railway. There are also plans to launch operation of TEP70BS on the line Minsk – Riga crossing Polotsk. Due care and cautious operation of TEP70BS locomotives in BZD are underlined by Alexandr Evgrafov, Director for Operation and Warranty Service at JSC Kolomna Works. He says, ‘High professional skills of maintenance personnel of Belarusian Railways have its positive effect on availability and operational performance parameters of the locomotives’.